A Sheffield-based haulage and logistics firm has added to its ranks with the appointment of a new customer service manager. 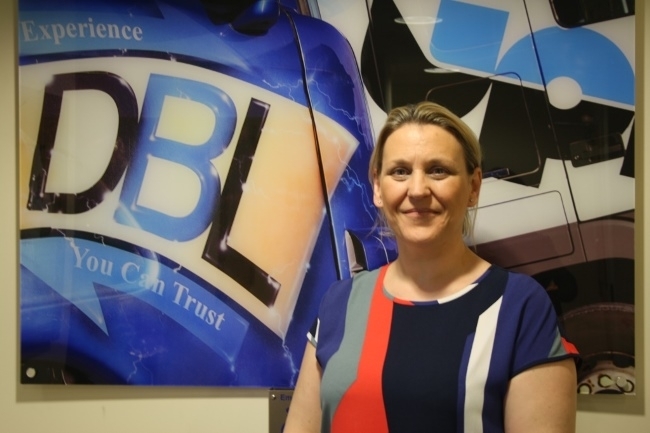 DBL Logistics, based on Tinsley Park Road, has appointed Pauline Semple, 46, to head up the company’s new customer service department. Pauline joins from Aviva, where she has worked since the age of 19 in various customer service roles. Pauline, who lives in Totley, Sheffield, said: “DBL Logistics is a company that I was aware of and admired, so I am thrilled to be joining their ever growing team. Earl Robinson, sales director at DBL Logistics, said: “We are delighted to welcome Pauline to the DBL Logistics team. She brings with her a wealth of customer service experience which will allow us to further cater for our customers’ needs and improve upon the high standards of customer service which we pride ourselves on. “Pauline will become the first port of call for all customer enquiries and manage all interactions between us, our valued customers and the UPN network service providers from the point of sale and thereafter. DBL Logistics began life as Yorkshire Distribution Service and started by husband and wife Bert and Linda Clarkson more than 30 years ago with son and current managing director David joining in 1987 to complete the company initials. The company, which currently warehouses and distributes more than 120,000 pallets of goods across South Yorkshire and the North Midlands each year, is a founding member depot of the UPN (United Pallet Network), which has more than 85 depots throughout the UK and collects and delivers freight from across 26 countries in Europe. DBL Logistics is also the current back-of-shirt sponsor of Sheffield United Football Club, principal sponsors of Sheffield Eagles and the rear-of-vest sponsor of British Basketball Leagues’ Sheffield Sharks.